With the 3GPP finally standardizing the 5G NR specifications last December, networks are working overtime to bring the new technology to their customers. While the commercial roll-out of 5G networks was initially expected to happen some time in 2019, it is now widely believed to start this year itself, which means demand for 4G equipment is falling drastically. 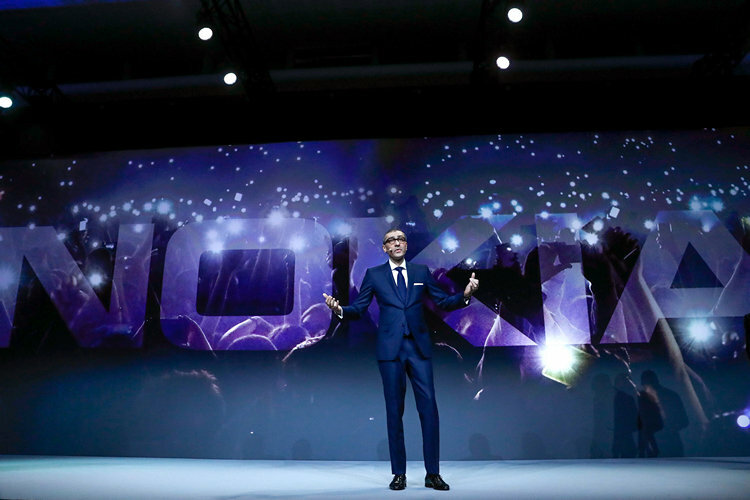 With the slowdown in the deployment of 4G networks resulting in a severe downturn for the industry at large, Nokia CEO Rajeev Suri has expressed optimism that the expected early roll-out of 5G networks is the best thing that stakeholders could have hoped for. The Finnish company is one of the three largest telecom equipment manufacturers in the world alongside China’s Huawei and Sweden’s Ericsson. In the lead-up to the ongoing Mobile World Congress in Barcelona, Suri told Reuters that, “The confidence about where that 5G uplift comes from is understanding the accelerated timelines operators now have”. According to him, the fact that the timeline has accelerated by almost a year, “is good news for the sector, because then they’ll be the next wave of investment coming”. He, however, sounded less-than-optimistic about Europe’s 5G timeline, saying that, US and Asia will trump the old continent in terms of 5G deployment. According to Suri, “Far and away, the U.S. and China activity will dwarf Europe … (but) I think some 5G will be launched (in Europe) at some point in 2019”. Suri also revealed the company’s plans to give home Wi-Fi a boost by releasing a range of mesh Wi-Fi products, including gateways and associated “beacons” in an effort to improve in-home connectivity. Nokia has been investing heavily of late in an attempt to win more 5G clients, which will increase its operating margins from 6-9 percent this year to around 9-12 percent in 2019. The company also says that it is collaborating with Facebook to deliver wireless internet in densely-populated urban areas that are not yet connected by fiber optic cables.